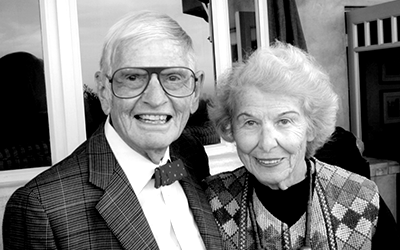 The Switzer Prize is named in recognition of Irma and Norman Switzer, a Pacific Palisades couple who bequeathed a major gift to the David Geffen School of Medicine at UCLA. Friends remembered them as humble people who lived modest lives and liked to work with their hands. 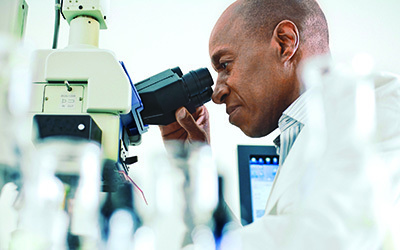 The Switzer Prize recognizes discoveries in basic research in the biological and biomedical sciences that have the potential to inspire transformative breakthroughs in medicine. 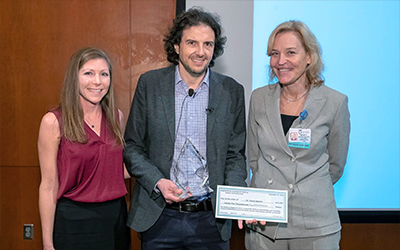 It is awarded annually to an individual investigator whose recent work has revealed new paradigms, illuminated biological processes or pathways, or explained the origins of pathologies or diseases. Dr. David Sabatini, a Massachusetts Institute of Technology biologist and associate director of the Whitehead Institute for Biomedical Research at MIT, was honored by the David Geffen School of Medicine at UCLA for pioneering discoveries of mechanisms that regulate cell growth, propelling research into potential treatments for cancer and other diseases.